This is my third time read this book and first listening to it and it's still a great book. another awesome Patterson book...loved it...can't wait for the next!!! I really enjoyed listening to NYPD Red. I loved the characters! Can't wait to start NYPD Red 2. I loved this book, I couldn't stop listening! I already got the second novel and I'm listening to it now! NYPD Red 2 was a good read I really enjoyed it. 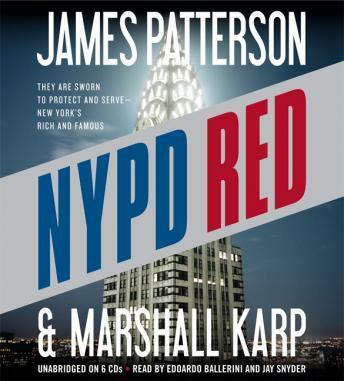 Even though there were a lot of chapters it seem like I got finished fast, I ordered NYPD Red 2 hopefully that will be good also. Nice book. Narration was on point...I liked it. Maybe just a tad bit long..but it was filled with action.